Leighann McCoy helps us get our year off to a great start with this encouraging message about what doesn’t change in women’s ministry. 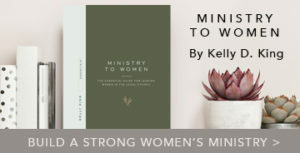 We have no idea what is ahead for us personally or for our women’s ministry in 2012 so it’s nice to know a few things about ministry to women that stays static! Remember, outside these 3 things, there is lots of room for tweaking and even “chunking” elements of the way we’ve always done it! Enjoy Leighann’s thoughts! I don’t know about you, but as a women’s ministry leader I’ve spent the past few years reeling in what felt like a rip tide of change. I went to conferences where I heard that women are looking for authenticity and purpose. I read blog posts where they begged us to stop hosting our decorated banquets, and I sat in staff meetings where I was challenged to give up women’s Bible studies as I knew them so that we could simplify our programs. I’ve never actually been in a rip tide, but I’ve studied the posters planted in the sand on Florida’s panhandle beaches. And according to their instructions the only way to survive a riptide is to “go with the flow” rather than fight against it to swim directly back to shore—you just swim with the current a bit until the force no longer pushes against you. Rip tides do not expand the entire width of the beach and eventually you will get beyond them and be able to make your way to shore without any resistance at all. 1. Women will always need one another. 2. Women will always find answers in God’s Word. 3. Women will always love chocolate. Women will always need one another. We’d stopped having our retreats three years ago. But as I was speaking to a small group of women gathered in the Zion National Park in Utah, I remembered why we used to have retreats. All over the room women were chatting in small groups of 2 and 3 and sharing their stories. They were connecting more than they ever would over a Styrofoam cup of coffee on a Sunday morning. Sharing soup and crackers Friday night and cut up bananas and oranges Saturday morning created an atmosphere where ministry took place. Women were sharing things they’d kept hidden for years. Others were confessing fears about their near and distant futures. God was working. 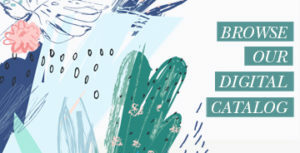 I’m not saying that the only way to foster an atmosphere for women to connect is to host a retreat, but it’s a good way! As for me and my house…we’re having a retreat the first weekend of February in 2012. Women will always find answers in God’s Word. We know how God speaks to us through His Word. But do the women we serve know what a treasure they have in the Word of God? Unfortunately for us, Bible study has been diluted to about 35 minutes on a Sunday morning with a teacher who studied 45 minutes Saturday night and delivers her insights to women she barely knows as they perch on cold metal chairs spread across the expanse of a white walled room. In 2012 I am gathering 8 women in my home. Together we are going to work through the chronological study Bible so that we can have a comprehensive understanding of this amazing collection of books we call “God’s Word.” THEN, in 2013 each of those women will gather at least 5 women in their homes and do the same thing. In 2014 each of those 40 women will gather 5 and by 2015, 1000 women in the reach of our ministry will have read the Bible through in a year and have a personal experience with the Word of God. Women will always love chocolate. Praise God from whom all blessings flow! He has given us all that we need to entice and encourage women to connect with one another and with Him. Many years ago when I wasn’t that terribly concerned with trends and statistics, I led our women’s ministry to host a chocolate buffet. We dressed to the hilt and served chocolate and encouraged the women at our church to connect with one another and to sign up for Bible studies. It worked, so we’re doing it again. I figure that if back then, when the only M&M candies we could serve were either plain or peanut, then surely now when we can serve plain, peanut, pretzel, cinnamon, coconut, peanut butter, dark and milk, then chocolate can still be one of our best women’s ministry friends. 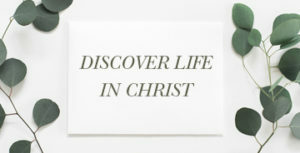 I hope that you have plans to lead the women you love to connect with one another and with God’s Word in 2012. And I hope that you will savor some chocolate along the way. Leighann is a graduate of Southwestern Baptist Theological Seminary. She is the senior pastor’s wife at Thompson Station Church, Thompson Station, Tennessee, a mother of three, a LifeWay Ministry Multiplier and a writer and speaker. Currently, she serves on staff at Thompson Station Church as the prayer and women’s minister, and is a frequent speaker at women’s events and prayer conferences. Throughout her ministry, she has served in several denominational positions relating to children and women’s ministries. She is the author of nine books, most recently being Spiritual Warfare for Women, published by Bethany House. In addition to her website and personal blog, you can read more about her ministry here. Women's Bible Teachers Wonder…"Will They Ever Get It?"